Some people seem almost afraid of the word, and rarely use it in spiritual things. “Giving account,” I was taught as a youth, “is only for the final day of judgment.” “Elders must not be lords over the flock….” And so forth. Actually, accountability is an integral part of leadership and discipleship! The Lord Jesus often asked questions of His disciples that called for an account or at least some serious reflection. “Where is your faith?” (Luke 8:25). “How many loaves have ye?” (Matt. 15:34). Perhaps the most significant example is the record of the Garden of Gethsemane just prior to the cross. The narrative in Mark 14:32-42 should be pondered carefully. The Lord asks His disciples to watch and pray with Him. Each time He returns and finds them sleeping. How can we not see a call to give account in His words to Peter (who had so recently boasted of his abilities): “Couldest not thou watch one hour?” (verse 37). Returning again to find them sleeping a second time, we read: “neither knew they what to answer him” (verse 40). Apparently the lesson was learned, for accountability became important to the apostles in their life work for Christ. When Peter was charged by certain influential men with having fellowship among Gentiles at the time of his historic visit to Cornelius (Acts 10, 11), we find no defensiveness on Peter’s part at all. Rather, he patiently “reviewed the matter from the beginning, and expounded it in order to them…” (Acts 11:4). The outcome was a happy one, for we read that his critics “held their peace and glorified God…” (verse 18). In the same way, Paul and Barnabas returned to Antioch, their commending assembly, at the conclusion of the first missionary journey, and when they had “gathered the church together they reviewed all that God had done with them” (Acts 14:27). They thought it fitting to communicate with those who had been part of their fellowship. In other words, they gave an account of their work. Elders should take note of all this because it bears directly on their work of making the assembly a place where young believers are discipled to spiritual maturity. Two things must be kept in mind at all times: The flesh is very unaccountable, and real spiritual growth often begins at the point of accountability. Pride asks “Who dares question my actions?” Humility is eager for improvement through correction. First, don’t think of accountability as a “big-business” term, but simply a synonym for honesty. Defensiveness may signal that one has something to hide. Good questions deserve good answers, and should be welcomed by sincere Christians. I have noted with amusement over the years the actions of certain brothers who disdain the use of the term accountability. If the speaker doesn’t appear on Sunday morning, they do not hesitate to call and ask: “Where are you?” Nor can they accept the word of any treasurer who proclaims, “All is well with the finances,” but insist on prompt, written financial statements. Of course these are simply (legitimate) forms of accountability! Third, be careful of your motives. Twice Paul reminded the Corinthians that the Lord had given him authority, not for their destruction, but for their edification (II Cor. 10:8; 13:10). 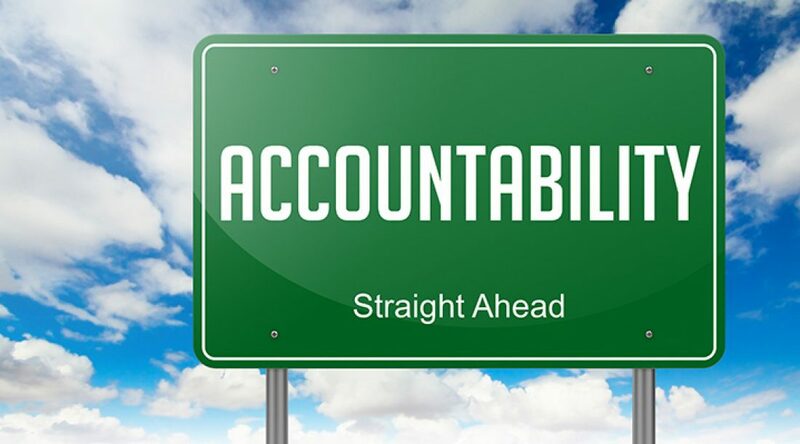 Accountability is never a weapon, but a building tool. Fourth, remember that a major goal of accountability is to learn to take responsibility for one’s actions. When questioning a child or worker for whom you are responsible, don’t assume that they have done wrong. Begin with a question and give him or her the opportunity to level with you. Learning accountability in the affairs of daily life helps to prepare the believer for the final accounting to God in the future. Parents should remember this, too, when training children. It is a mistake to raise a child with the idea that there are no absolutes, and that all those in authority can eventually be made to back down. Therefore, this is not a subject to be confined to the church, but is part of every healthy family, school and business. Finally, practice giving account of yourself and your labors to God on a daily basis. Hebrews 13:17 which describes church leaders as “they that must give account” is often limited to elders’ final accounting at the judgment seat of Christ, but there is no reason why it cannot also be applied in their present work. What joy it must bring to the heart of God to hear elders recounting the desires and victories, the joys and sorrows of their ministry to the Chief Shepherd! Few things will go so far to remind us that accountability is indeed a good word for elders. In fact, it’s a good word for everyone. Editorial note. 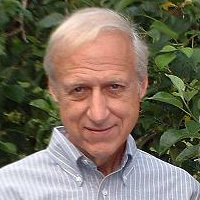 This article was first posted in Elder’s Shopnotes in July 2005. It is re-posted with permission from the author.